i Click 'view all' to instantly compare this wait with offers on other top wifi routers. NETGEAR AC1000 Dual Band Smart WiFi Router Fast Ethernet is currently selling at $54.99, approximately $8.31 higher than average. With a lowest price of $35.51 and an average of $46.68 it is selling on the high end of its usual range. Price volatility is 2.23% (meaning it does not change often), so you might have to wait a while for the price to drop. Right now this product is a recommended 'wait'. Compare the current price, savings (in dollars & percent) and Buy Ratings for the top WiFi Routers that are closely related to NETGEAR AC1000 Dual Band Smart WiFi Router Fast Ethernet. Here is how NETGEAR AC1000 Dual Band Smart WiFi Router Fast Ethernet compares with other leading WiFi Routers. 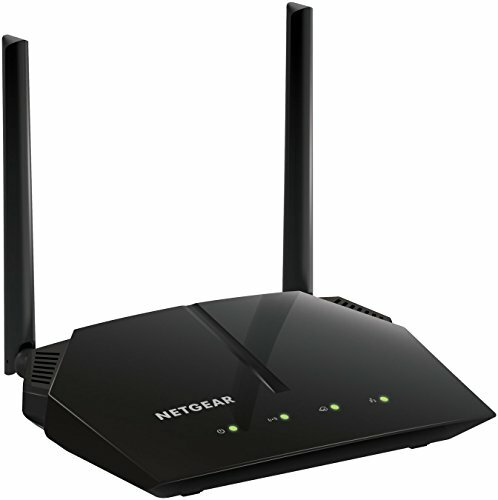 The NETGEAR AC1000 Dual Band Wi-Fi Router delivers Wi-Fi speeds up to 300+700Mbps. It allows you to upgrade your Wi-Fi to support new AC devices. NETGEAR genie app lets you easily manage your home network. It's easy to install and ideal for medium to large homes. FeaturesFaster WiFi - Now up to 1000 Mbps (300 + 700)Upgrade your WiFi to support new AC devices. Memory:8 MB flash and 64 MB RAMWorks with all N150, N300, N600 and AC devices.System Requirements:Microsoft Internet Explorer 5.0, Firefox 2.0, Safari 1.4, Google Chrome 11.0 browsers or higher.Microsoft Windows 7, 8, 8.1, 10, Vista, XP, 2000, Mac OS, UNIX or LinuxNighthawk App - Easily setup your router, manage Internet access by pausing and resuming internet instantly. All from your mobile device!